Binghamton rolls through Portland's pitching for a 13-2 win. If there was a bright spot in this early portion of the Portland Sea Dogs’ season, it was their starting pitching. Teddy Stankiewicz led the rotation, allowing three runs in four starts. Well, it’s now 11 runs in five starts. The Binghamton Mets jumped on Stankiewicz early, grabbing a 4-0 lead before making an out, and cruised to a 13-2 victory Tuesday night at Hadlock Field. Stankiewicz gave up eight runs on nine hits, two walks and a hit batter over 32/3 innings. He struck out one. His ERA rose from 1.13 to 3.58. While the Mets enjoyed 18 hits against Stankiewicz and company, the Sea Dogs featured a few highlights. They included Henry Ramos extending his hit streak to five games, going 2 for 4. Portland catcher Jake Romanski went 1 for 2 with a sacrifice fly and a walk. He continues to lead the team with a .333 average. But this night was all about the Mets (12-10) as the Sea Dogs dropped to an Eastern League-worst 8-17. The Mets began with a walk, a Kyle Johnson double and a Niuman Romero two-run double before Dominic Smith made it 4-0 with a two-run homer to center. Romero added a three-run homer to right in the fourth. This was the same Binghamton team Stankiewicz held to two hits last week. NOTES: The Sea Dogs sent corner infielder Jordan Betts back to advanced Class A Salem and replaced him with infielder Ryan Court, recently signed by the Red Sox. Court, 27, played four years in the Diamondbacks’ organization before joining the independent Sioux City Explorers last year, where he was a teammate of current Sea Dogs reliever Rob Wort. Court made his debut Tuesday and went 0 for 4. … The Sea Dogs also put pitcher Kevin McAvoy on the seven-day disabled list with arm tightness. He’s not expected to be out for long. McAvoy was replaced by Keith Couch, down from Triple-A Pawtucket. Couch, who pitched here in 2013 and 2014, was in Pawtucket all last year (4-10, 6.14). He began this season in extended spring training and made two appearances (one start) with Pawtucket before coming to Portland. 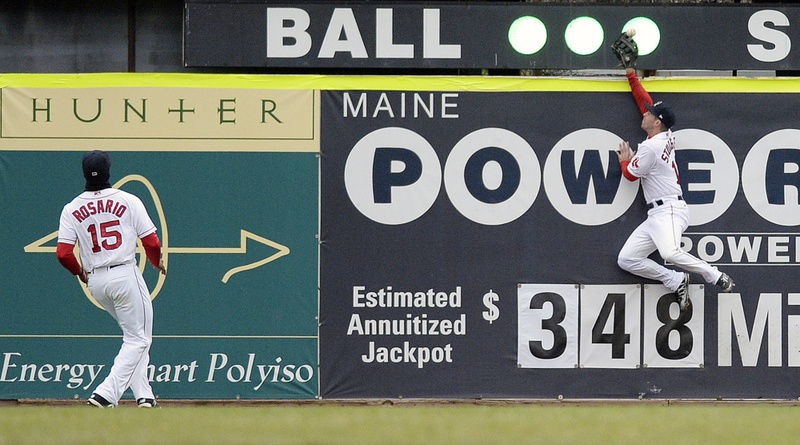 The announced paid attendance at Hadlock was 3,404. … Former Sea Dogs infielder Derrik Gibson batted lead-off for Binghamton. He left the game after being hit above the elbow by a Stankiewicz pitch in the fourth. Gibson said he should be fine. … Elsewhere, former Sea Dogs pitcher Eduardo Rodriguez made a rehab start in Pawtucket, going six innings, and allowing three runs (all in the first) and five hits. … In Salem, future Sea Dogs outfielder Andrew Benintendi had hits in both games of a doubleheader, extending his hit streak to 21 games, the longest in professional baseball. 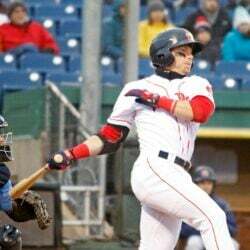 … Another former Sea Dogs player, Yoan Moncada, hit a grand slam for Salem.